Volos lies beneath Mount Pelion on the Pelion peninsula of mainland Greece, looking out over the Gulf of Pagastikos. 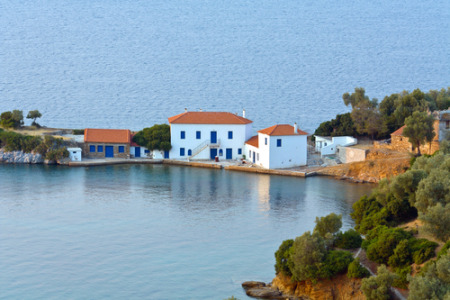 Volos holidays are a good base from which to explore inland as well as the pretty coastal resorts. Holidays in Volos attract a variety of tourists from hill walkers to those with an interest in historic sites, and to those who like to mosey through picturesque villages enjoying taverna fare and local wines. Our cheap Volos holidays offer good value accommodation in modern hotels and apartments, as our commitment to quality and service is never compromised. Holidays to Volos offer a bustling centre with many opportunities for excursions to the beaches of Koropi or Agios Ioannis where you can relax and enjoy bathing in the warm waters of the gulf. Excursions inland offer an insight into bygone days as the way of life in the small traditional villages has changed little over the years. We have a range of cheap Volos holidays waiting to transport you to this lovely peninsula. Check out our last minute Volos holidays and you are sure to find one to suit. Search now to view some of our latest Volos holiday offers or search for more deals using the search box.